Project Perfect Mod :: View topic - Twisted Insurrection on PC Gamer's Top 100 games of 2018. Twisted Insurrection on PC Gamer's Top 100 games of 2018. Posted: Sat Sep 01, 2018 9:43 pm Post subject: Twisted Insurrection on PC Gamer's Top 100 games of 2018. Subject description: Our tiberium vision is reaching new horizons! Twisted Insurrection, which is the most famous Tiberian Sun mod that we host here, has reached the 99th position on PC Gamer's Top 100 games of 2018, which has the top 100 games of the moment, according to the editors of the magazine. It is worth mentioning that no Command & Conquer game and no other C&C community mod has made into that list, nor OpenRA and other alternatives. 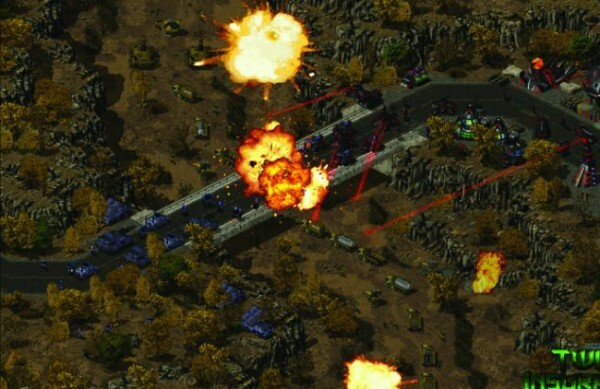 John Strike: Tiberian Sun's best mod brazenly shames the original Firestorm expansion in almost every way. It’s bigger and bolder, offering new buildings, a whole fleet of new units and even a new faction. There’s a completely new musical score and dozens of single player missions, some of which are based on the original Command & Conquer. Not only are new missions and units still being added, but, as a standalone free download, it's the most accessible way to play one of C&C's greats. Check out the whole list at the PC Gamer website and share your comments here. Regarding Twisted Insurrection, you can download the latest version at the Twisted Insurrection ModDB Profile. The current website is still down, the old one is not fully functional yet. You can discuss it at Twisted Insurrection Forums at PPM or on its Discord channel.